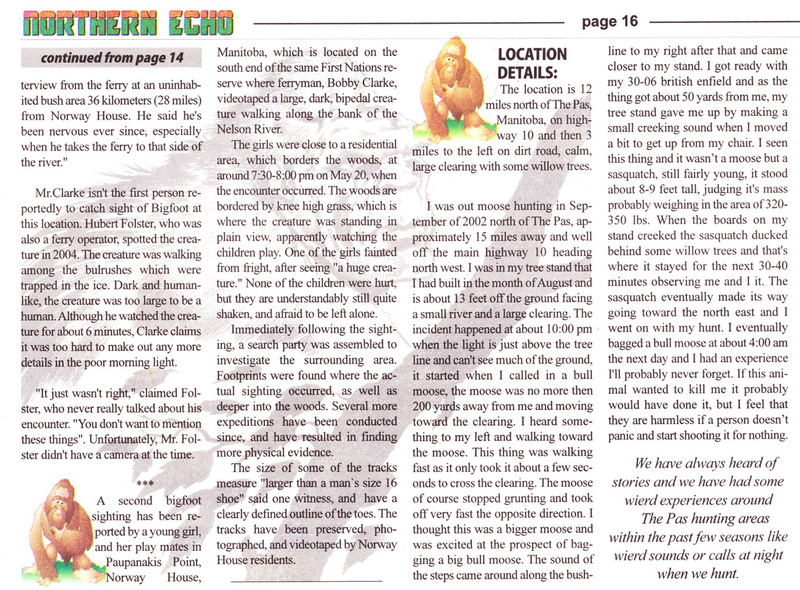 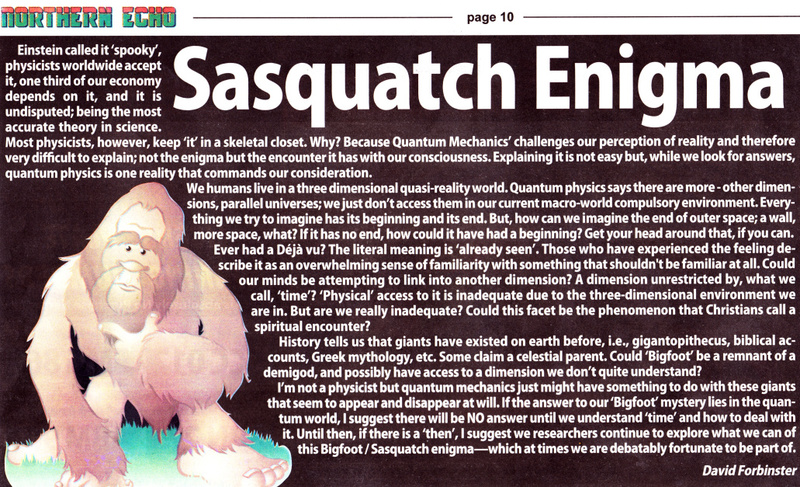 Northern Echo-Sasquatch Enigma - Sasquatch Canada contains current and authoritative information on sasquatch and other homins. 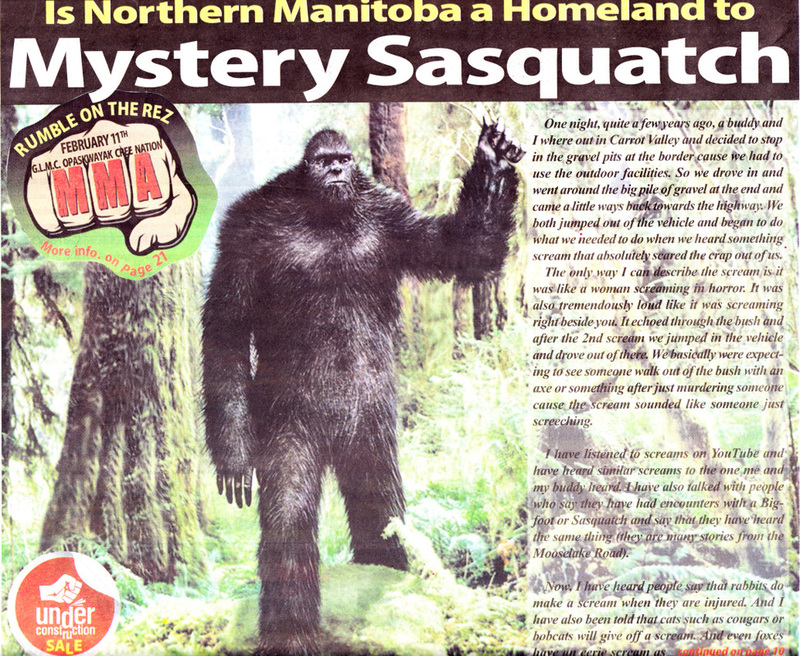 A newspaper distributed to Northern Manitoba communities, reports sightings of Sasquatch. 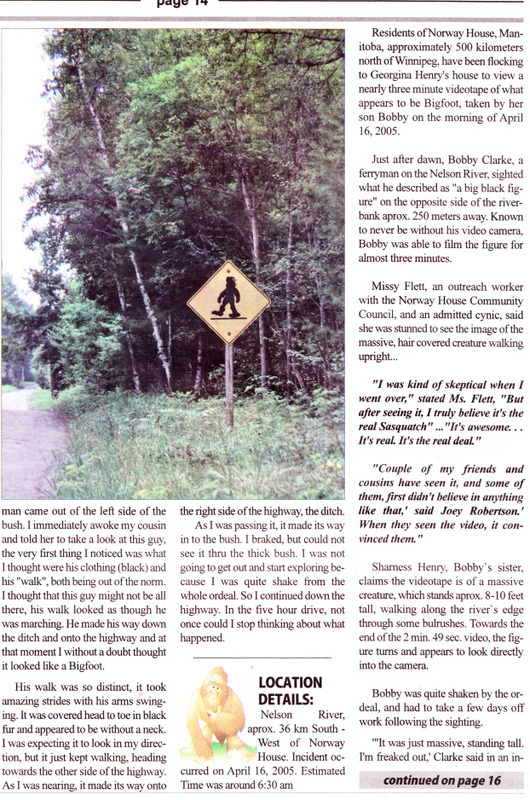 Thanks to Mike Barkett of Cranberry Portage, for sending this paper to me.